Wildlife Safari in Winston, Oregon, and Have Trunk Will Travel in Perris, California are dedicated to helping elephants by preserving the human/animal bond through providing personal, unique experiences that inspire people to help elephants. Dr. Norman Deitch of Health Link Medical Center in Oceanside, CA met an elephant, learned about their plight in the wild and was the highest bidder for this one-of-a-kind masterpiece collaboratively created by “George” and “Tai” to contribute to conservation through the International Elephant Foundation. Elephant footprint art series, “Stomp Out Extinction” now available. 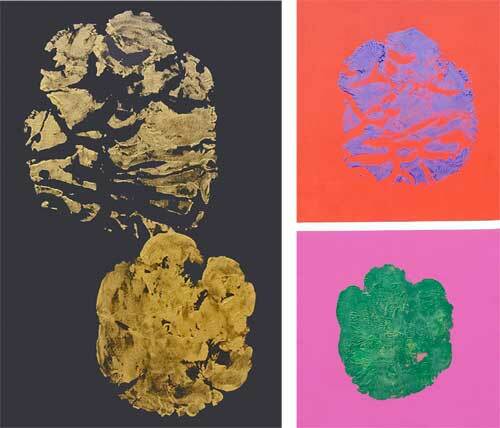 Each painting includes one footprint from an Asian elephant and one footprint from an African elephant. Each one is unique. They are available on Etsy.com and all proceeds benefit the International Elephant Foundation.